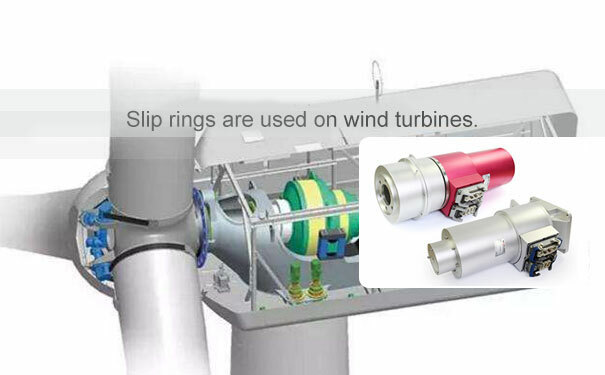 Wind is turbine slip rings? Wind turbines need a reliable transmission of data signals and power to the control system from the nacelle of the wind turbine blades. These slip rings have the quality and performance required in a harsh environment. The downtime cost is eliminated with the use of fiber as brushes and tough mechanical parts in the making of slip ring design. .The range of operating temperature is very long so can operate in extremes of temperature. 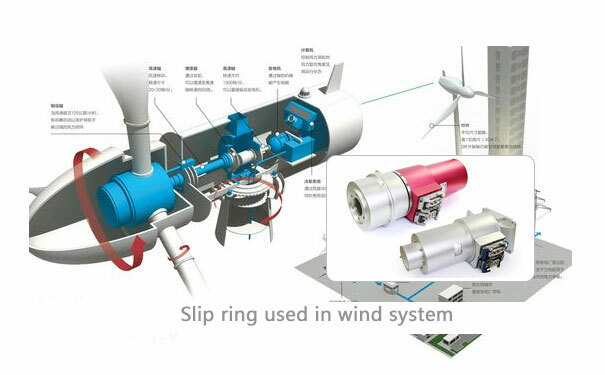 The slip ring assembly in the wind turbines is mostly made of solid metals and precious metal wire brush or graphite touches the outside diameter of the rotating metal rings to make the connection. When the rings turn, an electrical signal or current passes through the brushes to the metal rings, to make the connection. If more electrical circuits are required, additional ring an brush assemblies can be stacked along the axis. The wind turbine servicing market is growing at geometric progression as the turbine population ages, the asset owners are trying to find different ways to control the cost of maintaining a maximize the output ability of the turbine. Many designs today require periodic maintenance like cleaning away the wear debris, flushing out the dirt and debris and the lubricating the joints again. Replacing the entire slip ring at a short interval is costly, so manufacturers are pushed to lower the cost of materials and operators need to use products that reduce maintenance. The rate at which the technology is progressing the upcoming turbine slip ring would be more potent to deal with the harsh condition and at the same deliver a high level of performance. In a bid to harness wind energy in the best possible way the slip ring manufacturers have set aside the research and development team. In the past, we have how fruitful they can be and we do have the validation of such investments in the form of advanced slip rings like hollow shaft ring which is specially designed for the wind turbine generators. And many other such forms of slip ring has made the whole process of harnessing wind energy more efficient. 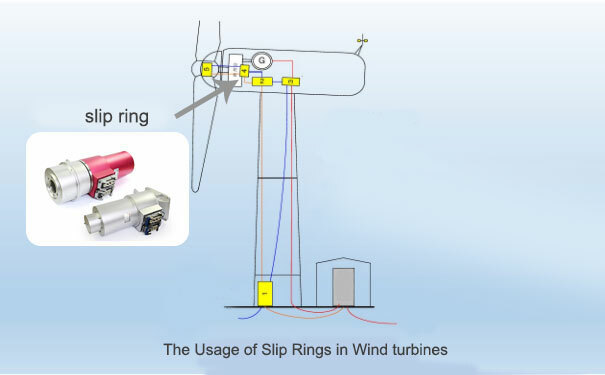 for an instance lately, the high current slip ring and electric slip ring are introduced in the wind turbines for a higher operational efficiency. But one of the pertinent issues is the cost of such slip ring which in itself stops more and more user from employing such slip ring. But moving forward we do expect that cost of such slip rings will reduce considerably. Thus making it more and more accessible.